[Gordon, Dr. John], 'The Doctrines of Gall and Spurzheim.' Edinburgh Review, 25, (June, 1815) pp. 227-268. The most important publication for elevating phrenology and especially the little-known Spurzheim to international notice was this article from the widely-read Whig Edinburgh Review, edited by Francis Jeffrey (1773-1850, as of 1834 Lord Jeffrey). Although anonymous like almost all review articles of the time, the authorship of this severe and calumnious review was not long concealed. The reviewer was Dr. John Gordon (1786-1818) a former student of John Barclay and Dugald Stewart and since 1807 an extra-mural lecturer on anatomy and physiology in Surgeons' Square Edinburgh. The main point of Gordon's review was to convince the readership that Spurzheim was "utterly destitute of every qualification necessary for the conduct of a philosophical investigation" and his book and teachings were "amazing absurdities". 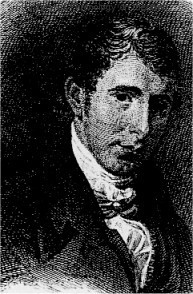 In 1816 Spurzheim travelled to Edinburgh where, before a packed lecture theatre, he delivered his well-known refutation of Gordon with the Edinburgh Review in his hand. Art. X. Anatomie et Physiologie du Système Nerveux en général, et du Cerveau en particulier; avec des Observations sur la Possibilité de reconnoitre plusieurs Dispositions intellectuelles et morales de l'Homme et des Animaux par la Configuration de leurs Tetes. Par F. J. GALL & G. SPURZHEIM Premier vol. 40. pp. 352. avec dix-sept planches fol. Paris. 1810. Deux vol. prem. part. pp. 212. avec quinze planches fol. Paris, 1812. The Physiognomical System of DRS GALL and SPURZHEIM, &c. Illustrated with nineteen copper-plates. 2d edit. 8vo. pp. 581. London, 1815. Our readers will here recognize, without any difficulty, the same man of skulls, whom we had occasion to take notice of, more than twelve years ago. Long before this time, we should have looked for his craniological death. But he seems somewhat cleverer than most of his tribe; and has discovered the inestimable secret, that a man's reputation, as well as his health, may often be prolonged, by a little well-timed locomotion. So far, therefore, from suffering the demise we had confidently anticipated, he has gone on, it would appear, exercising his calling with indefatigable industry, and extending his fame. He has uttered his prelections, we are credibly informed, from one end of the Continent to the other;—imprinted his doctrines in two quarto volumes-defended them in a third, and illustrated the whole by a folio of engravings;—challenged all the anatomists of the Imperial Institute, conjunctly and severally, to a trial of skill in cerebral dissection;—guaged all the prominent craniums in Germany;—and ascertained the solid contents of every celebrated head in France. VILLERS's letter to Cuvier * had, we confess, left very little doubt in our minds as to the real merits and the real views of this formidable personage; and the present publications have not only confirmed our original judgment with respect to him; but led us to extend the same opinion, without the slightest modification, to the partner he has since assumed, Dr J. G. SPURZHEIM. We look upon the whole doctrines taught by these two modern peripatetics, anatomical, physiological, and physiognomical, as a piece of thorough quackery from begining to end; and we are persuaded, that every intelligent person who takes the trouble to read a single chapter of the volumes before us, will view them precisely in the same light. * See our Number for April 1803.
very community, who are destined to be the dupes of empirics; so it would be rather matter of surprise, if these itinerant philosophers did not make some proselytes wherever they come. How many disciples Dr SPURZHEIM may have already collected from this class in England; by his English book, or his Lectures in the metropolis, we do not feel very anxious to inquire; because we are quite certain we should find, that they are more than ten times the number he has seduced, from the same proportion of persons, in any other nation in Europe. Great Britain is a field for quacks to fatten in: they flock to it from all quarters of the world; and England is the sweetest corner of the pasture. Well has the learned and most witty historian of Mrs John Bull's indisposition remarked, 'There is nothing so impossible in nature, but mountebanks will undertake; nothing; so incredible, but they will affirm.' As truly might he have added, that there is nothing mountebanks can undertake, which John Bull will not think possible; nothing they can affirm, which he will not believe. It may seem a little inconsistent, that the 'most thinking' people in the world should thus be the most credulous; but still it is comfortable to think, that theirs is not the credulity of ignorance, but the credulity of an honest and unsuspicious nature. That Drs GALL and SPURZHEIM, however, should have brought over any of the better informed in the island, particularly from among those with whom anatomy and physiology are either favourite or professional pursuits, into a belief of any of the amazing absurdities they are bold enough to teach, is, we should hope, a thing really impossible. There is nothing, indeed, in the shape of reasoning, calculated to mislead, in their whole writings; not one clever sophistry to captivate; nor even an occasional successful induction to redeem;—nothing but a perpetual substitution of assertion for demonstration, and conjecture for fact. Were. they even to succeed in shaking off the suspicion of mala fides, which we apprehend is inseparably attached to their character, we should not hesitate to say, that we do not know any writers, who, with a conceit so truly ludicrous, and so impudent a contempt for the opinions and labours of others, are so utterly destitute of every qualification necessary for the conduct of a philosophical investigation. purses of our readers if possible, before it be too late, by satisfying that curiosity which might otherwise lead them to purchase the books themselves, or attend the lectures of these cunring craniologers. We are quite aware of the peculiar danger which we incur by the conscientious discharge of our duty on this occasion. We cannot hope not to raise upon ourselves a 'pitiless storm;' all GALL's bitterness, and all SPURZHEIM's spleen. We shall be called very ignorant, no doubt, for not perceiving the signal merits of their philosophy; and very knavish, for so wanton an attack upon the good faith of two innocent foreigners; 'for we are far from thinking,' say these liberal gentlemen themselves, 'that ignorance and knavery will not attack our doctrine with abuse.' But what obloquy are we not willing to suffer for the public good? The principle of arrangement in the volumes before us, is not very easy to be discovered; yet, whatever it be, we imagine the authors have not been very successful in adhering to it closely. There seems to us to be a tolerably fair mixture of anatomy, physiology, physiognomy, physics, metaphysics, magnetism and morals, in most of the chapters. In giving our readers an idea of their contents, therefore, we apprehend it may be of some advantage to follow an order of our own. I. And first of all, we propose to inquire into the opinions of the great Drs GALL and SPURZHEIM, respecting the functions in general of man, and his intellectual faculties in particular. Such of our readers as have been accustomed to nothing more than the average degree of British absurdity, will scarcely believe that what follows is a fair and faithful abstract of this German gospel. The doctrine, say they, that every thing is provided with its own properties, was long opposed by metaphysicians and scholastic divines; but by degrees it gained ground; and at last the maxim, that matter is inert, was entirely refuted. Everything then is certainly provided with its own properties. and the French bean twine round rods, and the ivy climbs the oak. It would be almost absurd, therefore, to pretend that the organization of animals is entirely destitute of properties. WHYTT, on the contrary, and SAUVAGE, and HARTLEY, and various others, maintained that all automatic functions are produced without consciousness; and that, in this sense, the seat or residence of the soul is extended over the whole body. From all this it clearly follows, that the functions or faculties of man must be divided into two classes; into those which are produced by means of organization alone without consciousness, or the functions of automatic life; and into those which take place with consciousness, and which are the effect of the soul, or functions of animal life. Now, the first question in anthropology is, Whence does man derive all these faculties? Are they innate and determinate; that is, is he born with them? Or does he come into the world without any functions or faculties at all; in other words, perfectly indeterminate and indifferent ? It is perfectly clear, say our Doctors, that all the faculties of automatic life are innate; for they are the effects of organization; and surely no one will deny, that a man is organized when he is born. Has he not flesh and blood, and skin and bone, then, as well as afterwards? These faculties, too, are enjoyed by the lower animals; they must, therefore, be born with man. Man, indeed, is like a plant. If you give too much food to a peach tree, its bark bursts, grows rough, and secretes gum. So, if a person is too well nourished, or frequents punch-clubs too frequently, he gets a red face, with pimples, boils and dartres of every sort. Let no man take offence at being likened unto a peach tree. 'He who thinks that such comparisons degrade mankind, should be aware that the greatest natural philosophers, moralists, and divines, have maintained the same opinion; as St Gregorius Nyssenus, St Augustin, Bonnet, Pascal, Condillac, and others. '—Spurzheim, p. 451. Therefore all the faculties of automatic or organic life, are innate. As for the faculties of animal life, they may be subdivided into four orders;—voluntary motion; the five external senses; propensities and sentiments; and the faculties of the understanding. Now, with respect to the two first of these, there can be no doubt. Voluntary motion is possessed by man in common with the lower animals; and the five external senses are inherent in the nature of both; therefore, they are obviously given by nature, or innate. But there is some difficulty as to the origin of the propensities and sentiments, and the faculties of the understanding. It may be demonstrated, however, that these functions are trot caused by external influences, such as external circumstances, society, wants, climate, mode of living, education, &c. For, although MILTON composed his Paradise Lost in consequence of being deprived of his place as Secretary to CROMWELL; and SHAKESPEARE wrote plays because he was an actor, and had become an actor because he was obliged to leave his native country on account of certain juvenile error; yet these are only examples of opportunities presented to faculties already existing. Without food we cannot eat; but we are not hungry, merely because there happens to be food. Then, as to society, it is quite obvious, that man is a social being; that he belongs to the same class as hogs, geese, and crows. He must be endowed, therefore, with faculties destined for society; and consequently society is not the cause of his faculties. With respect to wants, that is, disagreeable impressions, misery, poverty, and painful situations; it is sufficient to remark, that while the nightingale flies to a warmer climate on the approach of winter, the partridge and sparrow remain behind, and die of cold. The wagtail and redbreast, foolish birds! make nests for themselves; while the cuckoo, more knowing, cracks an egg in her neighbour's pocket, according to the old saying: A beaver builds its cottage, even in a drawing-room; and a weaver-bird sews its tissue in a cage. It is very clear, therefore, that wants are not the source of the intellectual faculties in man. Nor can they be ascribed to mode of living; for eating and drinking have a powerful influence on the organization; consequently, it is impossible that they can produce propensities or sentiments, or functions of the understanding. Climate, too, is out of the question, for though it has a great influence upon the organization, it affects men much less than the lower animals, as the history of the Jews very evidently demonstrates. Lastly, education is not the cause of the intellectual faculties; for every kind of animal always preserves its own nature, and individuals of the same kind often excel each other. M. DUPONT'S cow shows this very well. 'M. DUPONT de Nemours had a cow which alone understood to open the enclosure of a field : none of its companions learned to imitate its manner of proceeding; but, being near the entrance, waited with impatience for the arrival of their leader. Spurzheim, p. 461. A pleasant story too, of a hunting dog and a little dog, is equally instructive and convincing in this point of view. place near the fire. Though he often deceived his companions, none of them was capable of imitating his stratagem. A little dog, when he was eating with several large dogs, behaved himself in the same manner, in order to secure his portion, or to catch some good bits. Such genius is not the result of instruction.' lb, p. 461. Thus it has been demonstrated that the propensities and sentiments, and the faculties of the understanding are not caused by external influences: By exclusion, therefore, it follows, that they are dependent on internal causes, that is, that they are innate. There are, however; many positive and direct proofs of this. In the first place, every kind of earth, salt, and metal has its determinate qualities. With plants, it is the same. A pear tree never bears apples, nor an apple tree pears: We never gather figs upon a vine, nor grapes upon a thorn bush. Every animal has its specific character: We can never change a cat into a dog, nor a tiger into a lamb, &c. Hence we must say with MOSES, 'God created all beings, earths, plants, fisher, birds, and all animals, each according to its kind.' Why then should man be excepted? Secondly, man enjoys many propensities in common with animals. Thirdly, he possesses faculties which are peculiar to him, and all these are given by creation. Fourthly, the human character is constant. Mankind are always the same. Ancient mummies present the same parts of the skeleton which we find in man at present. Fifthly, SHAKESPEARE when he was a boy, exercised the trade of his father, who was a butcher; but when he killed a calf, 'he would do it in a high style, and make a speech.' TAMERLANE and POPE SIXTUS the Fifth, were shepherds as well as MOSES and DAVID. Sixthly, WILLIAM CROTCH astonished every body with his music at six years of age; but in every other respect he was a child. Lastly, man has been created. The general and irresistible conclusion from the whole of this induction is, that all the functions or faculties of man, whether those of his automatic or of his animal life, are innate and determinate. We are indebted to the learning and the candour of our authors for the information, that this doctrine has not escaped the penetration of many 'profound thinkers,' both antient and modern, profane and religious. It seems that PLATO and HIPPOCRATES, and; QUINTILILIAN, and CECERO, and SENICA, and HERDER, and CONDILLAC, were all convinced of its truth; and what surprised us most of all, it very clearly appearsto form a part of the Christian faith. 'The religion of Christ, also,' say our authors, 'admits the innateness of the faculties. According to it, all is given from above.
" A man can receive nothing except it be given to him from Heaven." John iii. 27. "No man can come to me, except it were given to him of my Father." John vi. 65. " Who has ears to hear let him hear." Matt. xiii. 9. " The disciples said, Why speakest thou in parables? Christ answered, because it is given unto you to know the mysteries of the kingdom of Heaven, but to them it is not given." Matt. xiii. 10, 11. "All men cannot receive this saying, save they to whom it is given." Matt. xix. 11. St Paul says, " When, the Gentiles which have not the law, do by nature the things contained in the law, these, having not the law, are a law unto themselves: which show the work of the law written in their hearts, their conscience also bearing witness, and their thoughts the mean while accusing or else excusing one another." 'Rom. ii. 14, 15.' Spurzheim, p. 484. In the next place, it is laid down by the Doctors, that all the faculties of man may be divided into three kinds, general, common, and special. This division is quite general throughout ail nature: in metals, salts, earths, plants, and all sorts of animals. Secretion, for instance, is a common faculty; and the secretions of saliva, bile, tears, &c. are special faculties. Sensation is a common faculty; and the sensations of sight, taste, hearing, &c. are special faculties. Understanding is a general faculty, including the common faculties of perception, memory, judgment and imagination; and then the perception, or memory, or judgment, &c. of space, or form, or time, or number, &c. are special facultics. The classification, however, which they have proposed, of what they call the internal or mental faculties of man, that is, his propensities and sentiments, and his faculties of understanding, is still more interesting. At the same time, we are a little doubtful how far Dr GALL will acquiesce in the account we are to give of it. All our information on the subject is derived from Dr SPURZHEIM's book. Now, this gentleman has altered, and, as he conceives, very materially enlarged and amended the doctrines of his master in this department. And indeed it is obvious from the tone, not only of this, but of many other part; of the separate work which he has clone us the honour to publish in our language, that lie and GALL are far from being at one. There seems a schism in the copartnery; the house is divided against itself; and it would by no means surprise us to see, in the course of a twelvemonth, a quarto or two put forth by GALL against SPURZHEIM, and as many by SPURZHEIM against GALL. Be this as it may, SPURZHEIM says, that he divides and subdivides the mental faculties, according to the common practice of natural historians, into orders, genera, species, and varieties. divided into two genera, Propensities and Sentiments. The Propensities begin with those of eating and drinking, (an excellent beginning certainly); and there are several species and varieties, and even monstrosities of this genus. Of the Sentiments some are common to man and animals, and others proper to man; and, like the former, they include species and varieties. The order called Intellect is also divided into two genera:—Knowing Faculties, or those which are intended to matte us acquainted with the external world; and Refecting Faculties, or those which compare the relations between different external bodies, between external bodies and the internal faculties, and between the internal faculties themselves. Of these two genera, there are also several species and varieties. Of course, our readers will now be desirous to know how many mental faculties man is endowed with; and really a wish so reasonable, it would be cruel not to gratify. They will find that our authors have been much more generous in this respect than even Dr Reid; in so far as they bestow upon us no fewer than thirty-three. To the Order of Feelings, and the First Genus of that Order, viz. Propensities, belong the following species. 1. Amativeness or Physical Love. We choose to leave these terms without translation. 2. Philoprogenitiveness. Mankind have an innate, internal, or mental faculty, or feeling, or propensity; in consequence of which, they love their children. This is elegantly and shortly rendered into English, by the word which we have just writs ten, and which we cannot spare another day to write again. The propensity is in general stronger in women than in men; and our authors ingeniously remark, that this difference is sensible not only in grown-up people, but even in children; for if we present to children various playthings, boys will immediately choose horses, whips, drums, &c.; while girls will prefer dolls, cradles, ribbons, &c.
same element to another; and this is what he denominates inhabitiveness. 4. Adhesiveness. This is the special faculty, which gives us attachment to all around us; whether animate or inanimate: to sticks, stones, plants, animals, and man. Its objects are friendship, marriage, society, and attachment in general. 5. Combativeness, or a propensity to fight. 6. Destructiveness, This is a dreadful faculty. It is beyond doubt, that there is a propensity to kill in certain animals. Some kill for food, others merely for the pleasure of killing; and some have this last form of the propensity in a very high degree. Another diverting story of a little dog will illustrate this. 'Gall had a little dog, which had this propensity in so high a degree, that be would sometimes watch several hours for a mouse; and as soon as it was killed, he left it. Notwithstanding repeated punishment, he bad also an irresistible propensity to kill birds.' Spurzheim, p. 305. It is equally certain, that man has an innate propensity to kill. Indeed, as all carnivorous animals have it, and man is omnivorous, he ought to be blessed with the enjoyment of this faculty. But the whole history of mankind proves that he has it. In all ages, the earth has been drenched with blood. GALL called this faculty murder; but SPURZHEIM thinks that it produces the propensity to destroy, in general, without determining the object to be destroyed, or the manner of destroying it. 'It gives,' says he, 'I the propensity to pinch, scratch, bite, cut, break, pierce, devastate, demolish, ravage, burn, massacre, struggle, butcher, suffocate, drown, kill, poison, murder, and assassinate.' Heaven defend us from destructiveness. 7. Constructiveness. It is by means of this faculty, that birds build nests, savages huts, and kings palaces. It produces also fortifications, ships, engines of war, manufactures and commerce; instruments of all kinds, furniture, clothes, toys, &c. Upon the whole, it is an exceedingly innocent propensity; but when it is too strong, our authors are so good as to hint, that a man may ruin his family by building, or may coin false money. 8. Covetiveness. This is the propensity to gather and acquire, or to covet, without determining the object to be acquired, or the manner of acquiring it. It gives a desire for all that is desireable; money, property, animals, servants, land, cattle, or anything upon earth. When there is too much of it, it makes a man steal. ment. This truth is so generally felt, that every one winks at a little theft committed by rich persons, who in other respects conduct themselves well.' Spurzheim, p. 323. 9. Secretiveness. This is the propensity to be clandestine in general; to be secret in thoughts, words, things, or projects. To the second genus of the order of Feelings, viz. Sentiments, belong the following faculties. 10. Self-esteem. This faculty gives us a great opinion of our own person. 11. Love of Approbation. This faculty makes us love the good opinion of others; and court approbation in general. No matter what the object is; it is the same faculty which makes a coachman love to be praised for his mode of conducting his horses, and a general to be applauded by his nation for such a victory as Waterloo. 12. Cautiousness. This faculty, according to SPURZHEIM, produces 'precaution, demurs, doubts: places sentinels—and in general exclaims continually, take care. It considers consequences, and produces all the hesitations expressed by but.' p. 336. 13. Benevolence. The faculty in the lower animals, which corresponds to this, is meekness. 14. Veneration It is by this faculty that man adores God, or venerates saints, persons and things. The singular felicity with which our authors have applied this faculty to the demonstration of the existence of God, deserves particular notice. Every faculty of man and animals, say they, has an object which it may accomplish. Is it then possible that, while there is a faculty of veneration, God should not exist ? Certainly not. Hence God exists. 16. Ideality. This is the faculty by which a man is enabled to make poetry. It is a sentiment, so to speak, the opposite of circumspection. It renders us enthusiasts; while circumspection stops our career by saying, Take care. l7. Conscientiousness. This is the sentiment of just and unjust, right and wrong: But it operates very wonderfully; for it produces the sentiment of justice only, without determining what is just. It produces also the sentiment of duty; and constitutes what is called conscience and remorse. 18. Firmness. This faculty contributes to maintain the activity of the other faculties, by giving constancy and perseverance. To the order called Intellect, and the first genus of that order, viz. Knowing Facultics, the following species belong. 1815. The Doctrines of GALL and SPURZHEIM. 237. 19. Individuality. This is a sort of blue-stocking faculty, which it would be exceedingly disagreeable, we think, to live under the same roof with. It knows the existence of objects and facts; it has knowledge also of all internal faculties, and acts upon them. Yet it is most rapacious and insatiable; for it desires to know all by experience, and consequently puts every other organ in action; it wishes to hear, see, smell, taste, and touch, and to know all the arts and sciences; it is fond of instruction, collects facts, and leads to practical knowledge. 20. Form. 'My manner of considering this faculty,' says SPURZHEIM, 'is the following. The preceding faculty takes cognizance of the existence of external bodies; and the first quality which our intellect considers in them, is their form; while, at the same time, persons are particularly known by their form. I therefore reduce this 'faculty to the general consideration of form.' p. 359. 21. Size. After the existence and figure of any body, the mind considers its dimensions or size. Therefore, there is an innate Knowing Faculty, which may be called size. 22. Weight and Moments. This also is the well contrived name of an original faculty, adapted for the ideas of weight and resistance, of consistency, density, softness and hardness. These peculiar conceptions cannot be attributed to the sense of feeling; we must therefore admit a particular internal operation of the mind for them. 23. Colouring. As in man the faculty of colouring is not in proportion to the sense of sight, nor to the understanding in general, it seems evident that there is some particular faculty which perceives different colours, recollects them, and judges of their relations. This faculty, therefore, is properly called Colouring. 24. Locality. This faculty measures distance, and gives notions of perspective; it makes the traveller, geographer, and landscape painter; it recollects localities, and judges of symmetry. It conceives the places occupied by external bodies; and it snakes space not only known to us, but is also fond of this kind of knowledge. It is this faculty, too, which makes certain birds migrate. 25. Order. This is the faculty which enables us to conceive order. It gives method and order in arranging objects as they are physically related. It is fond of putting particulars in order, according to physical consideration;. Dr SPURZHEIM asks, 'Is cleanliness and tidiness dependent on the same faculty as order?' This is a difficult question; we cannot answer. 26. Time. This faculty may exist without either order or number. number, seems to belong to this facultv. Hence, its object is calculation in general. As it merely calculates, however, arithmetic, algebra and logarithms belong to it, but none of the other branches of mathematics. It is not quite certain whether animals possess this faculty. GEORGE LE ROI, However, has observed, that magpies can count three; and DUPONT DE NEMOURS declares he thinks they can count nine. This is the DUPONT to whom the cow that opens the gate belongs. 28. Tune. This is the faculty which recollects tones, and judges of their relations; perceives the harmonies of sound, and is the origin of music. 'Sometimes in epileptic fits, in delirium, and syncope, certain individuals sing continually, and with great precision; and then this faculty is alone active, while the functions of all the other faculties are destroyed.' With all humility, we would observe, that we suspect there is some mistake here. In this country, at least, people in a fainting fit or a convulsion, make it a rule never to sing. 29. Language. This is the faculty which learns the artificial signs for the operations of the mind;—which enables us to perceive the connexion betwixt any sign, audible or visible, and the thing signified, and to understand the symbols of Algebra;—which has memory of arbitrary signs, and judges of their relations. The second genus of the order Intellect, viz. Reflecting Faculties, contains the following species. 30. Comparison. This is the faculty which compares the sensations and ideas of all the other faculties; and points out their difference, analogy, similitude or identity. 31. Causality. This faculty examines causes, considers the relations between cause and effect, and always prompts men to ask, Why? 32. Wit. It is the essence of this faculty to compare in such a manner as to excite gaiety and laughter. 33. Imitation, which is a faculty sui generis. It enables persons to imitate gestures, voice, manners, and, in general, all the natural manifestations of man and animals. looked. We will not attempt to abridge this discourse, because we think it quite unfair in any one, to think of epitomizing what he is obliged to acknowledge he does not at all understated. There are some observations in it, however, upon the use of the good old terms sensation, and perception, and memory, and imagination, and judgement, which we can perceive are truly original; and if our readers can make any thing of the summing up of the whole, here it is in the author's own words. Such are the opinions of DR GALL and SPURZHEIM on the Functions in general of Man, and on his Intellectual Faculties in particular. We have been the more minute in our sketch of them, that their absurdity might be the more apparent. To enter on a particular refutation of them, would be to insult the understandings of our readers. Indeed we will flatter the authors so far as to say, that their observations are of a nature to set criticism entirely at defiance. They are a collection of mere absurdities, without truth, connexion, or consistency; an incoherent rhapsody, which nothing could have induced any man to have presented to the public, under a pretence of instructing them, but absolute insanity, gross ignorance, or the most match: less assurance. II. With their System of Morals we shall be very brief. The recapitulation of about forty pages of observations on this subject in SPURZHEIM's book, to us perfectly unintelligible, is the following. 'that man consists of two natures, which combat one another, and why one can do what he would not do. I have elucidated how the law has begun; how persons without the law, can do the thing contained in the law; how virtue is possible and meritorious; and what is the difference between the kingdom of law and that of love. Finally, I have stated the aim of our actions, and observed that there is not any one simple moral motive of our actions, but that all the faculties proper to man furnish moral motives, and that they altogether constitute a perfect morality.' p. 523. All this is so clear and so unanswerable, that it would be a shame to embarrass it with any comment. III. Passing over a quantity of incredible nonsense on the physiology of the five external senses, disgraceful to any one who had studied the common elementary works on the animal economy, or even his own feelings with the slightest attention, we proceed to examine the doctrines of these gentlemen relative to the Functions of the Nervous System in general, and of the Brain in particular; and this will lead us to consider those craniological or physiognomical opinions, by which GALL first brought himself into notice, and which, according to his own confession, led to all his other speculations. 1. In the first place then, the said Drs GALL and SPURZHEIM declare, that they make no inquiry into the nature of the faculties of the mind; they observe only their manifestations. It is only by their manifestations that the faculties are known; but they exist in every individual whether they be manifested or not. When a man sees or hears, or moves a limb, he manifests the faculty of sight or sound, or voluntary motion; but then he possesses all these faculties independent either of seeing or hearing, or motion. When a person forms an attachment to punch or to poetry, as very worthy men will sometimes do, he only manifests in a pleasing manner the faculty of adhesiveness; but the faculty of adhesiveness exists in that man, whether he has actually given in his adhesion to the bowl or not. On this piece of metaphysic and definition, we have nothing to remark. GALL and SPURZHEIM say that these things are so, or should be so; and that is quite enough. the faculties are modified because the organs or instruments vary? 2. The manifestations of the mind, are modified in every individual. Is it probable that the soul of each individual differs? No; it is said that all mankind have descended from the same original parent. 3. The mental manifestations are modified in different ages; some sentiments and intellectual faculties appearing or disappearing sooner than others. Either the soul itself therefore changes, or its instruments are changed. 4. The mental manifestations correspond exactly to the growth and general development of the brain. 5. The faculties of the mind cannot continue to act incessantly with equal energy; rest is necessary; and this inactive state of the faculties is sleep. Now, corporeal organs alone are susceptible of being fatigued and exhausted. 6. The faculties of the mind may be exercised and trained; but how can an immaterial being be exercised? 7. All that disturbs, excites, or weakens the organization, chiefly of the nervous system, changes also the mental manifestations. 8. The organs of the different manifestations may be actually demonstrated; so it is impossible to deny that they depend on organization.—Therefore, 'by incontestable facts,' and 'reasoning thereupon,' it has been shown, that the manifestations of the mental faculties depend on organization. 3. In the third place, having satisfactorily demonstrated, that all the functions of animal life depend on organization, our authors maintain that they have ascertained, in a manner equally satisfactory, what the particular parts of the organized frame are, which are destined for the manifestation of each faculty. It is certain, say they, that none of the functions of animal life are dependent on any other part of the body but the Nervous System, because this its generally admitted. This point, therefore, is set at rest; and the only question which remains to be decided is, whether the whole Nervous System, or only some particular part of it, is the organ of these functions. Now, we confess we do not find it very easy to discover, after all, what the opinions of these gentlemen are on this subject, in so far as the five senses and voluntary motion are concerned. In the chapter relating to these functions, a faculty called consciousness is introduced, sometimes said to be active and sometimes passive, which puzzles us a good deal; and we have been exceedingly disconcerted to find, that we have been all along entertaining a very inaccurate notion of the faculties of thinking and willing; for the learned Dr SPURZHEIM assures us, that these faculties 'certainly are Sensations.' p. 123. 'After every consideration,' says he, 'it remains undecided, at VOL. XXV. NO. 49.
least in perfect animals, in what respect the brain is necessary to the passive consciousness of the external senses. It is, however, certain, that the will, and consequently the voluntary motion and reflection, depend on the brain; for no phenomena of this kind take place without a brain. Thus it is necessary to distinguish the regular motions into those which are regular, but only automatic, and into those which are both regular and voluntary: The latter depend on the actions of the brain; the former take place without it. It is similarly necessary to make distinctions respecting the functions of the five external senses. It is undecided whether this passive consciousness takes place by the assistance of the brain, or by means of their respective nerves alone; but it is certain, that their active consciousness, accompanied by attention, reflection, and will, can be effected only by the operation of the brain.' p. 127. On the subject, however, of the organs of the manifestations of the thirty-three Internal or Mental Faculties, our authors are abundantly explicit. This is obviously their favourite topic; one which they cherish as a child of their own; and of which, perhaps, it is in some degree excuseable for them to be vain, since it is one great discovery from beginning to end. They admit, that for many centuries the brain has been considered the organ of the soul; but they affirm, that every one who has maintained this hypothesis, has endeavoured to combine with it evident contradictions. They choose, therefore, to show, that the brain is exclusively the organ of the feelings and intellectual faculties, by a demonstration to their own way. The outline of the demonstration, as it is given by SPURZHEIM in about forty page, is the following. brain be defective, as is the case in idiots, the mental manifestations are also defective. The manifestations also may be distinctly seen to follow the growth of the brain from infancy to maturity, and its decay to old age. In children the brain is pulpy, and therefore the functions of animal life cannot be manifested; in the state of maturity, the brain has acquired the highest degree of development, and the manifestations the greatest energy; and, in proportion as the organization of the brain decreases, the energy of the moral sentiments, and of the intellectual faculties decreases also. 5. Certain faculties are more active in men, and others in women; and there is a difference in their cerebral organization. 6. In proportion as the brain is altered by disease, the mental manifestations are weakened. 7. 'Every one feels that he thinks by means of his brain.' Therefore, the brain is exclusively the organ of the thirty-three mental faculties, viz. the nine Propensities, the nine Sentiments, the eleven Knowing Faculties, the three Reflecting Faculties, and Imitation by itself Imitation. Q.E.D. Now, we must essay a reply here, however hard and unpromising the task may be; for, as we have already remarked, the ratiocination of DRS GALL and SPURZHEIM is of the most difficult species to combat. Perhaps we might content ourselves with saying, that the whole doctrine of the thirty-three faculties to which the argument relates, is downright nonsense; and so put an end to the discussion at once. But the see sufficient reason for declining this summary method on the present occasion; and, therefore, we shall take the liberty of substituting for the names of the thirty-three faculties, two very simple and intelligent terms, viz. Intellect and Inclinations; and proceed. a brain destroyed, until we published our system of the anatomy of that organ? 'It was evidently impossible to make exact anatomical observations upon an organization, which was not only unknown, but in respect to which were entertained notions; not only quite erroneous, but entirely opposite to its real structure; and it is beyond doubt, that this hitherto was the case with the internal structure of the brain. '—Spurzheim, p. 140. Or how could any physician venture to pronounce whether his patient's intellect were affected or not, until we discovered that every man is endowed with thirty three faculties? It follows, also, that it has hitherto been impossible to judge accurately of the effects of diseases and injuries of the brain, because all physiologists considered only the general attributes of the understanding, and were quite ignorant with regard to the ' special faculties. '—Spurzheim, p. 147. Our authors, however, have been imprudent enough to record some cases themselves precisely similar to those which they are so little disposed to admit on the authority of others; and in order to reconcile these, therefore, with their doctrines, they have recourse to an exquisite stratagem. In all injuries of this sort, say they, the duplicity of the nervous system trust be kept in recollection. One half of the brain may be destroyed, and the other half still continue to exert the manifestations of the mind. In fact, it is evident, that the opposite hemispheres of the brain are sometimes in a different or even an opposite state. A great number of madmen hear angels sing, or the devil 'roar, only on one side.' TIEDEMAN relates the example of one MOSER, who was insane on one side, and who observed his insanity with the other. And GALL himself attended a minister who had a similar affection for three years. This minister was cured; but when he fell into a passion, or got drunk, there was rather a tendency to a recurrence of the disorder. Secondly, If it is meant to be affirmed, that total destruction of. the brain is uniformly followed by total loss of intellect, we demand where the cases are by which that point has been established? Is there a single instance on record, in which a complete destruction of this organ had been observed, and in which a total cessation of intellect immediately followed as the effect of that destruction? We will not pretend to affirm that there are no such cases recorded; but if there be any, we are altogether ignorant of them. ly follow that the brain was the organ of intellect; if, by the term organ, be here meant (what alone we presume it can be employed to mean) the part of the body, upon changes in which, the intellectual operations immediately depend. As well might it be argued, that all sensation depended ultimately on some change of condition in the heart; because, when all the arteries leading to any part are divided, and its connexion with the heart thus cut off, it immediately loses its sensibility. The organ of intellect may reside in some other part of the nervous system, or in some other region of the body; and that part or region may be continually receiving from the brain a supply of something necessary to the healthy discharge of its functions; or they may be so constructed, that whatever disorders the structure of the one, injures the constitution of the other. These things are obviously possible; and there is nothing in the phenomena of wounds of the brain, which renders this hypothesis a bit less probable than the other. We will not say that. there are any facts which absolutely demonstrate that the brain is not the organ of intellect; the subject is still involved in the utmost obscurity; and our physiological readers will see, from an article in our last Number, how far, purely for the sake of exciting investigation, we are disposed to carry our opinions or conjectures upon this point. But we will maintain, that such cases as we have alluded to, afford no proof whatever that the brain is the organ of intellect. Fourthly, We deny that there is any connexion or proportion whatever to be observed, on a comparison of animals with each other, between their intellect or inclinations, and the number of parts in their brains; and if there were, this is no demonstration that the brain is the intellectual organ. Fifthly, We deny that there is the slightest approach to a uniform proportion or connexion between the vigour of intellect, or the strength or peculiarity of inclinations in man, and the size of his brain. If it be said, that this is a point which a :an be determined only by an actual examination, after death, of the brains of persons whose talents and moral character have been the subject of observation during life, then we affirm, that there is no physician or anatomist, who has practised this piece of dissection in such circumstances twenty times, who does trot know that the assertion of DRS GALL and SPURZHEIM is utterly groundless. Intellect of every degree and of every kind, and inclination of every variety, is found combined with brain of all sizes. real size of the cerebrum, with a view to this inquiry. They leave a method, indeed, which is much better, because it is applicable to the living man: By a proper guaging of the head without, they can tell to a trifle how much it contains within. They have always found, that the larger the cranial part of the head measured upon the outside, skin and all, the greater the quantity of brain lodged in the cranial cavity. So it is the simplest process in the world: Shave a man's head, and you have the measure of his mind in a moment: Multiply the length by the breadth, and the product by the thickness; and his philosophy and feeling will come out to the fraction of an inch. The remark is as old as it is said to be true, that no real hero is a hero to his valet de chambre. Let all those whom it may concern, now remember, that no man can be a pretended philosopher to his barber. ly, but very erroneously conceiving; that v,hen there is more than usual difficulty in forcing sense into a man, there must be a greater than usual thickness of wall to keep it out. GALL and SPURZHEIM, in fact, in affirming that the vigour of intellect is always proportional to the size of the head, seem to have been desirous of trying how far their effrontery might be carried. If they succeed to convincing a single individual of common parts and observation, that this assertion is a truth, they will find little difficulty, we apprehend, in persuading mankind in general, that they hear by their eyes and see by their ears. But we will even indulge these gentlemen so far as to admit, that the relation they assert is true. Will it, therefore, follow, that the greater size of the brain is the cause of the peculiarities in the intellect or inclinations of the individual? Certainly not. Can it be possible that the great DRS GALL and SPURZHEIM have not observed, in the course of their multifarious inquiries into nature, that phenomena may coincide, without being related to each other as cause and effect? Were it established, that all great mathematicians had black eves; and all poets blue ones, would any sensible man, from this alone, think of ascribing the mathematical talent in the one case, or the poetical genius in the other, to the colour of the iris. In the course of our own experience, we have observed, that persons who have a lurking affection for port wine, have uniformly a certain redness of nose; and yet we are far from conceiving ourselves warranted to infer from this, that the nasal hue is the cause of the vinous partiality. Some, on the contrary, are disposed to maintain, that it is rather the effect; but this we hold to be quite wicked and calumnious. Again, it is a remark which we have never found to fail, that all great lawyers have long and very mobile fingers, 'digiti prehensiles,' as LINNEUS would have called them, with a remarkably smooth cuticle or epidermis on the palms of their hands. Shall we therefore conclude, that this length and flexibility of finger, and this exceeding smoothness of palm, are the cause of eminence in the law? No; this maybe a case of mere coincidence; nay, the professional eminence may, indirectly, be the cause of some of these phenomena:—But this is dangerous ground. Sixthly, We deny that the brain uniformly diminishes in size in old age; or that when it does undergo diminution, the intellect is uniformly affected in proportion; or that, when the intellect is affected, there is any proof whatever that this is owing to the diminution in the brain. Lastly, We solemnly declare, that we, for our parts, have never yet known what it is to feel that we think by means of our brains. 4. The investigations of DRS GALL and SPURZHEIM, however, have not led merely to the demonstration, that the brain is the general and exclusive organ of the manifestations of the thirty-three special faculties: They have conducted these ingenious men to discoveries of still greater interest in a physiological point of view, and of infinitely higher practical importance. They have ascertained, not only that each of the faculties has a particular part of the brain appropriated to itself for its organ, and that, in proportion to the size of each part, is the perfection of the manifestation of the faculty to which it belongs; but they have discovered the precise portion of the brain, which constitutes the organ of each particular faculty. That the brain is an aggregate of many organs, and that each faculty has its own, is matter of easy demonstration. Every salt and every metal has its own crystallization; every plant and every fruit-tree, has its particular organization; even the parts of the same tree, as wood, bark, leaves, flowers and fruit, possess somewhat varying qualities. The beaver builds a but; the dog hunts; the blackbird sings; the swallow migrate. Certain men excel; others are middling in all: Some are endowed with genius; others are idiots. The understandings of animals increase in proportion as their brains become complicated. Certain faculties are more active in women and females; others in men and males. In the same individual, certain faculties manifest themselves with great energy, while others are scarcely perceptible. All the faculties do not manifest themselves simultaneously; Several appear earlier; others disappear more lately. Study, too long protracted, produces fatigue; but we may continue to study by changing the object. Some persons dream during their sleep; others walk during their sleep. Some persons are subject to inspirations, visions, and similar phenomena. And, lastly, some men are insane only on particular points. From all this, our authors conceive it cannot for a moment be disputed, that the brain consists of thirty-three organs, one for each faculty. It is no less easy to show, that the energy or perfection of each faculty is proportional to the size of its organ. 'There ia, indeed, throughout all nature, a general law, that the properties of bodies act with an energy proportionate to their size. Thus, a large loadstone attracts a greater mass of iron than a small one of a similar kind. The fermentation of the same fluid is more energetic, if its quantity be more considerable; and a great muscle of the same kind is stronger than a small one. if the nerves of the five external senses be larger on one side of the body, the functions also are stronger on that side. Why should it not be the same in respect to the brain?' Spurzheim, p. 215. Can any thing in Euclid be plainer than this ? Was ever demonstration neater, or more satisfactory? We should now be desirous of stating to our readers the particular parts of the brain, which are appropriated to each faculty. But it would be in vain to attempt this, without the aid of the plates, with which our authors have illustrated this part of their subject. It will be no difficult matter, however, to give them a general idea of what they are to find on consulting these engravings, and on reading the valuable remarks which relate to them in the text. In the two first plates, then, of Spurzheim's work,* there will be found different views of the surface of the brain, when deprived of its membranes; one from above, another from below, and two lateral views. On different points of the surfaces thus represented, will be seen engraved, the various numbers, from one to thirty-three; and on turning to the table of explanation, the reader will discover, that each of these numbers refer to the organ of the faculty corresponding to it, in the enumeration of the special faculties formerly given;—number V, for example, marking the organ of combativeness; and number X, of self-esteem; and so on. Number I. makes its appearance on every surface of the laminated part of the cerebellum; and all the other numbers are scattered over the convolutions of the brain proper;—none, however, appearing on the lower surface of the middle or posterior lobes; and none on that surface of the hemispheres, which looks towards the falx of the dura mater. It deserves, also, to be remarked, that not a single number is to be seen on the medulla oblongata, or the annular protuberance, or the peduncles either of the cerebellum or brain proper, or the mamillary eminences, or the infundibulum; or, in short, any of the parts which lie between the middle lobes. * We refer to this work alone, because it is the latest; and because, in the large French work, with folio engravings, the conjoint production of GALL and SPURZHEIM, neither the number nor the place of the organs accords exactly with the representation now given of them by SPURZHEIM himself. Let GALL and SPURZHEIM settle this point between them. the superficial extent, the internal direction, and the total bulk, of any one organ. Whether the organ of Hope goes upwards or downwards, backwards or forwards; whether the organ of Order stands quite clear of that of Tune; whether the organ of Combativeness does not intertwine with the organ of Destructiveness; whether the organ of Wit does not run the organ of Imitation through the body; whether. one might not scoop out the organ of Covetiveness front end to end, as a cheesemonger with his wimble does a bit of Stilton, and yet not interfere in the least with the organ either of Benevolence or of Veneration;—these, and many other questions of equal importance, would be in vain determined, by an inspection of the engravings alone. The reader, therefore, will naturally turn to the text, for more minute and precise information on these points; and there we leave the pleasure of telling him, lie will find the following very satisfactory detail. 'It is indeed true, that the organs are not confined to the surface of the brain; they extend from the surface to the great swelling of the occipital bole (medulla oblongata), and probably include even the commisures; for the whole mass of the brain constitutes the organs. '—Spurzheim, p. 239. Such is the trash; the despicable trumpery, which two men, calling themselves scientific inquirers, have the impudence gravely to present to the physiologists of the nineteenth century, as specimens of reasoning and induction. But let us now attend a little to the ingenious methods, by which these gentlemen have discovered the precise situation. of each of these organs; and to the external signs by which they assure us that it may be known during life, whether any particular organ be unusually large, or small. This leads to the most important part of their, doctrines perhaps; the practical part, as it may be called; the physiognomy, craniology or cranioscopy; the part which teaches us how to find out, by the shape of the head, whether a man loves his children or kills them; whether he steals or is very benevolent; whether he has much hope or little; whether he believes in a Gods or is a freethinker; in short, what he is remarkable for; in knowledge; talent, or dispositions; or whether he be remarkable for any thing at a11. sight or touch on the living head, with whatever soft textures the part may happen to be covered; whether with tendinous substance, cellular substance, adipose substance, muscular fibres, or common integuments with the hair; or two or three of these, or all of them together. Now, as it has been already shown, that the brain is the general organ of all the faculties, that each faculty has a portion of the cerebrum appropriated to itself, and that the perfection or vigour of each faculty is proportionate to the size of its organ; it obviously follows, that the aforesaid bumps on the head are infallible signs of peculiar energy in some of the special faculties. When, therefore, any uncommon bump of this sort presents itself on the head of an individual, it is only necessary to ascertain what faculty that person is remarkable for; and thus the particular part of the brain, which constitutes the organ of that faculty, is at once demonstrated. By a steady application of this method, to the skulls or busts of the celebrated dead, and to the heads of the living, unshaven as well as shaven, in all classes of society, and in different nations; in establishments for education, in hospitals for idiots and madmen, in houses of correction, and in prisons; DRS GALL and SPURZHEIM have had the merit of ascertaining the exact site of the thirty-three organs. Nay, of such amazingly precise, application does this method seem to be susceptible, that although our authors found it impossible to define the superficial boundaries of the different organs on the brain itself, they have marked out the limits of each organ with the utmost distinctness, on the outside of the whole head. Accordingly, in the frontispiece to SPURZHEIM's book, a most extraordinary and engaging spectacle presents itself. The human head there appears in different aspects, cleanly shaven, with the whole of its upper surface divided into regions, like the maps of revolutionized France. The regions are of different sizes, from a quarter of an inch, perhaps, to two inches; and of very various shapes, some being rhomboidal, others elliptical, others almost circular, some like a half-moon, some like the point of a scymitar, others, distinctly heart-shaped, but by far the greater number, as it appears to our eye, like the scales of a salmon magnified. The facilities, which these diagrams must afford, in the application of the intellectual topography to practice, must be very great. When we discover any unusual projection or depression, any remarkable specimen of hill and dale, on the head of a stranger, we have only to consult a copy of the frontispiece quietly; and, without a moment's delay, we shall be enabled to decide, whether we ought to approach him as an honest man, or shun him as a knave. effort to do, we have briefly to observe, that not one of the assertions are true, and that not one step of the reasoning is correct. It is not true, that there are ever such eminences on the surface of the brain, accompanied with projections of the cranium, as GALL and SPURZHEIM have affirmed. It is true, no doubt, and we presume it was known to anatomists before our authors were born, that the different regions of the brain, differ in their relative proportions in almost every individual. But the difference, whether it be confined to one dimension, or extend to all, is at the utmost very inconsiderable; seldom we believe amounting to half an inch, and never, we are confident, exceeding an inch, over an extent of six inches; and very often it is so small, as just to be perceptible, and no more. In this last case, as might be expected, it is difficult to discover any corresponding difference to the proportion al capacity of the cerebral cavity of the skull; but in all varieties which exceed the ratio of a quarter of an inch in five or six inches, this cavity is in general obviously larger in the same proportion. Now, our anatomical readers are not to be informed, surely, that the two surfaces of the bones which form the cerebral cavity of the cranium are not everywhere parallel to each other. They know very well, that there are often considerable depressions within, where the corresponding surface without, does not exhibit the slightest appearance of projection, but is quite flat, or even hollow; and that there are often large prominences without, where there are no corresponding concavities within; so that when the outer surface of the walls of the cerebral cavity are compared with a mould in Paris plaster or in wax, of the cavity itself; the greatest difference is perceptible between them. All anatomists know, too, that this difference is not the same in degree, in any two skulls; the distance of the two surfaces of the bones from each other is so various. When, therefore, any particular region of the brain is considerably larger than usual, compared with other parts, although the corresponding region of the cerebral cavity be always proportionally larger also, this increased capacity within, is far from being uniformly accompanied with any greater prominence of the osseous shell without. Such correspondence does often occur, no doubt, particularly in those cases where the greater proportional size of the particular regions of the brain approaches to the maximum we have stated; but even in these instances it is not constant. Moreover, we must observe, that, admitting it were uniform and invariable, still as the prominences and depressions oft the outer surface often vary, without any corresponding variety within, the examination of the outer surface. alone never can lead to any certain conclusions as to the proportional dimensions of the brain. 'It is not necessary to appreciate any minute differences of size, in order to determine the development of the organs.' Spurzheim, p. 234.
man's character through his nightcap, or his hat, or a wig of four stories, or even through both hat and wig, at the distance of twenty miles, provided they had a good telescope, and the weather were clear. credit, in this instance, of returning a Report so little agreeable to DRS GALL and SPURZHEIM, that these gentlemen thoughtit necessary to reply to it in a quarto volume: yet they acquiesced in enough of their claims, to secure to them some place as anatomists in the estimation of many persons, who looked upon their cranialogical doctrines as little better than the ravings of disordered imaginations. We are resolved, however, to do what, in us at least, lies, to enable our countrymen to appreciate the true merits of DRS GALL and SPURZHEIM, in this department also. to be further investigated; but in the mean time, the facts already ascertained render it very probable, that the White Matter actually consists of fine fibres in the living body, which, however, are too delicate to maintain their form in sections and lacerations after death, unless coagulated and rendered firmer by the means already mentioned. How comes it that REIL, who was so anxious to demonstrate the fibrousness of the brain, did not avail himself of this sure method of our authors? 'Galls methode langt nicht aus;' says REIL. 'Das Gehirn ist ohne Vorbereitung zu breyigt und zerfleissbar, und lãsst sich deswegen nicht im Zusammenhang zerlegen' Arch. f. d. Phisiol. B. ix. H. 1. We suspect that when our authors are desirous of demonstrating to their less knowing pupils, that the White Matter is fibrous, they exhibit some portion of the brain, where, in consequence of the alternations of the two kinds of Matter, the White is disposed in threads through the Brown: Our readers will perceive, however, that this is quite a different species of fibrousness from that of either kind of Matter taken by itself. like the White, when examined with the microscope: and we have found that when a portion of it taken from the convolutions of the brain proper, or the laminæ of the cerebellum, has been coagulated by tiny of the agents already mentioned, its laceration has a fibrous appearance also, which REIL has represented pretty well in a small engraving. * SMMERING pronounces the Brown Matter to be fibrous in general terms;  but we have not yet ascertained what other portions of it, than those we have mentioned, do really put on this appearance when coagulated. On this subject, DRS GALL and SPURZHEIM choose to be entirely silent. 2. The two kinds of Nervous Matter are intermingled in the brain in various ways. In some parts, a covering of the one surrounds a mass of the other, as a capsule encloses a nucleus; in others, they are alternated in laminæ or strata; and in others, they traverse each other in the form of cords or fibres of various sizes. Now, it is the opinion of DRS GALL and SPURZHEIM; that wherever the White Matter is to be found, it is formed or generated by the Brown; that the one is the matrix of the other; that all the White filaments are produced from the Brown substance, and, therefore, that a mass of this substance ought to be denominated a Ganglion. SPURZHEIM's demonstration of this is the following. 'At first, the whole ftal brain consists of a cineritious mass, and by degrees only it is that even fibres appear; and then they appear at certain places sooner than at others, the nervous fibres always going off from the cineritious substance. There is, moreover, an uniform proportion between the grey substance and the nervous fibres which are derived from it. Even in worms, insects, and crustaceous animals, the ganglia wherein nervous fibres arise, contain a proportionate quantity of greyish substance: This substance is sometimes accumulated at particular places, and sometimes it accompanies the nervous fibres in their course. These circumstances equally occur in the cerebellum and in the brain. '—SPURZHEIM, p. 20. * Arch. f. d. Phisiol. B. viii..H. 3.  De Corp. Hum. Fab. iv. fore, two and two made four. It is surely not imagined by these gentlemen, that the White Matter consists of a multitude of streams of a white fluid continually flowing from the Brown, which alone possesses the power of secreting it from the blood; and yet this is the only hypothesis, which could sanction the use they have made, in the present instance, of the words formation and matrix. Neither is there any thing in the mere circumstance of connexion or juxta-position between these two kinds of matter, which could possibly lead any sensible person to maintain, that the one generated the other. As well might it be affirmed, that the bones generate the muscles, or the trunk of a tree its branches, or the foundation of a house its walls; or that, once a city has been built, this urbs condita, of itself, without the aid of any power dead or living, forms all the roads which lead from it. In truth, we are the more out of humour with this hypothesis, that it is in direct and alarming hostility to a theory of our own upon this subject, which we have long cherished with some degree of fondness. We conceive that your Brown Matter is a great destroyer of your White; that when a portion of the latter comes into contact with a mass of the former, it is either instantly eaten up, or only runs a short way into it, and then disappears; that the intention of the Brown Matter is to prevent the accumulation of the White; so that when there is much White to get rid of, in any particular part of the brain, there is always a large quantity of Brown to devour it. We are ready to defend this hypothesis by 'incontestable facts,' by 'reasoning thereupon,' and by the 'refutation of all objections.' In the mean while, we may observe, that it is, in fact. only a particular illustration of a general law of nature, by which all things dead and living are made to be destroyed, eaten up, subdued, or moderated by other things. The trunks of tree, devour their branches; the foundations of houses, their walls; the cities of the earth, the roads which enter them. 3. The greatest anatomical discovery of DRS GALL and Spurzheim, is the origin, reinforcement, and distribution of the fibres of the brain. These fibres, according to them, form two orders; one diverging, the other converging; the former constituting what they denominate the apparatus of formation, and the latter the apparatus of reunion; and both orders, then profess to demonstrate, in the clearest manner, by dissection or the recent brain with the handle of a scalpel. All the diverging fibres take their origin, it seems, in the Brown Matter of the medulla oblongata. Some go to the cerebellum; others to the brain proper. Those which are destined for the cerebellum, form, immediately after their origin, on each side of the medulla oblongata, a bundle or fasiculus, called corpus retiforme. Each bundle enlarges as it ascends, and enters at last into the corresponding, hemisphere of the cerebellum, into which it has scarcely penetrated a few lines, when it meets the corpus dentatum. This body is a mass of Brown Nervous Matter; but its tissue is so dense, that it is impossible to follow the direction of the white fibres which enter it. These fibres, however, in passing through it, receive a great reinforcement; and then the whole come out together, and are expanded into the various laminæ of the cerebellum. The corpus dentatum is thus 'a large point of increase for the cerebellum;' and the prominences on its surface, are owing to the increased quantity of Brown matter, which is found at the origin of each principal branch of white filaments, which it sends off. fine fibres, all of which ascend divergingly, and unite at the upper margin of the ganglion into large bundles. The anterior of these bundles traverse a large mass of Brown Matter, viz. that part of the corpora striata which is situated in the great cavities, and receive a considerable increase from it; such an increase, as enables them to form, by their expansion, the whole convolutions of the posterior lobe of each hemispbere, and all the superior convolutions, and those which are situated towards the median line of the other lobes. The converging fibres of the brain take their origin where all the diverging fibres seem to terminate; that is, in the layer of Brown Matter, which covers the convolutions of the brain proper, and the laminæ of the cerebellum. Uniting into larger fasciculi, and forming various layers, they all incline towards the median line of the brain; and there joining with the corresponding fibres from the opposite hemisphere, they constitute various commissures, which connect the two sides of the brain with each other. The converging fibres of the cerebellum, arising from the Brown Matter ors its surface, pursue various directions, through the diverging fibres, towards the anterior and external margin of the cerebellum, where they terminate at last in the annular protuberance; uniting with the corresponding fibres of the opposite hemisphere, sand so constituting a large commissure. The anterior fibres of this commissure form a layer on the anterior surface of the annular protuberance, while the middle and posterior ones pass transversely through the diverging fibres, which run through this prominence to the brain proper. The converging fibres of the brain proper, form several commissures. All those which are derived from the superior convolutions of each hemisphere, from the inferior convolutions of the anterior lobes, and from the internal convolutions of the posterior lobes, unite to form the great commissure called the corpus callosum. The fibres of the anterior convolutions of the middle lobe, form the cord which has usually, been denominated the anterior commissure. A few of the converging fibres of the internal convolutions of the posterior lobe, form the fornix with its lyra. Lastly, the fibres of the inferior convolutions of the posterior lobe, and those of the posterior convolutions of the middle lobe, bend behind the peduncles of the brain proper, and behind the 'pretended' optic thalami; and inclining obliquely towards the median line, unite with the corresponding fibres of the opposite side. 'tissue,' from which, however, they are soon afterwards disengaged. Beyond this tissue, therefore, each convolution may be easily separated into two layers, the surface of cacti layer remaining perfectly smooth, without any division of bloodvessels, or any trace of fibres passing from one side to the other. Between the two layers, there exists an adhesion of contiguity, maintained perhaps by a fine cellular substance; but there is no connexion of continuity produced by an intermixture and confusion of substance. In the affection denominated Hydrocephalus Internus, where in consequence of a morbid secretion of serous fluid within the ventricle, these cavities are often enormously enlarged, and the sides of the ventricles or substance,of the brain rendered proportionally thinner, DRS GALL and SPURZHEIM have discovered, that there is in fact no destruction of cerebral matter, but that the convolutions are merely unfolded by the gentle and regular pressure of the accumulating fluids, which gradually separates their two layers from each other a~ long the line of 'contiguity,' just mentioned. Such is the grand system of the diverging and converging fibres of the brain, of which DRS GALL and SPURZHEIM are the sole inventors and proprietors; a discovery truly, which, at some future time, may throw light on the most obscure operations of the microcosm. In the mean while, it is our painful duty to remark, that the system is a complete fiction from beginning to end. The incorrectness, too, of these gentlemen, on this occasion, admits of no explanation or apology on the score of ignorance; their unceasing professions of the time and labour they have bestowed on the dissection of the brain, entirely preclude this excuse; we must ascribe their inaccuracies solely to intention. authors all along profess to practise. What system of fibres may hereafter be developed in the coagulated brain, we will not venture to predict; that, as we have before said, remains to be tried. A good deal is already known on this subject; :and DRS GALL and SPURZHEIM are quite aware, we apprehend, of all that has been done. Whatever these gentlemen, however, may choose to assert to the contrary, we deny that their notions respecting the structure of the convolutions, receive the slightest support from the effects of coagulation upon these prominences. We affirm it, as the result of many experiments, made-under every variety of circumstances, that there is no foundation whatever for the supposition, (for supposition at best it is), that the convolutions consist of two layers, contiguous only its the middle. When these prominences are coagulated, they are divisible, in the longitudinal direction, into innumerable laminæ, all of which are alike smooth on their surfaces; and we have never found that they were more easily separable towards the middle than towards the sides, when every source of fallacy in the experiment had been sufficiently guarded against. Their conjectures, too, about Hydrocephalus Internus, are quite of a piece with their other discoveries and demonstrations. In a large Hydrocephalus, say they, there is found instead of the convolutions, only a very thin membrane of cerebral substance, of which the fibres are horizontal, and covered tin the external surface with Brown Matter. 'It unavoidably follows,' therefore, that in all cases of Hydrocephalus, the two layers of the convolutions are merely separated from each other and unfolded, by the gentle, but constant, and regular force, of the accumulating fluids. Further, as hydrocephalic patients of fifty-four years of age, have manifested the intellectual faculties in a pretty high degree, the conclusion is equally unavoidable, that in Hydrocephalus in general, the brain suffers no destruction or disorganization. It is vexatious to be obliged to reply to this, after the sickening dose of such like reasoning, which we have had in the preceding pages; but this is the last instance of the kind that will require any notice, and our reply shall be short. destroyed by the progress of this very affection, we hold to be a fact just ascertain, as that there are many persons now alive whose legs have been removed by the knife of the surgeon. To be sure, the said Doctors may be able to prove, by 'incontestable facts,' by, 'reasoning thereupon,' and by the I 'refutation of all objections,' that there is no such thing as a living roan without a leg; but, till we see this accomplished, we must remain persuaded of the truth of our position; and we have only to add, that we have always been accustomed to consider the changes produced on the cerebral mass, in every degree of Hydrocephalus, as the effects of an increased and peculiarly regulated absorption; and that we never dreamt of any other agent being concerned in the process, or ever heard of any other explanation of the phenomena being suggested, by persons whose opinions have the least weight in physiological matters. Hitherto we have confined our objections to the system of the diverging and converging fibres, chiefly to this, that it is incapable of demonstration on the uncoagulated brain ,by the handle of the scalpel, as our authors have so confidently affirmed. But are there no circumstances, these ill-used Doctors will ask, relative to the internal structure of this organ, which it is possible to unfold in it, in its recent state, by this simple instrument? We answer, there are; the whole relative arrangement of the White and Brown Matter may be displayed with some clumsiness by the handle, but with the utmost neatness and precision, by the sharps edge, of the scalpel. Let us now see, therefore, how our dexterous anatomists have acquitted themselves in the demonstration of these more obvious points. have been aware of the fact we have stated, and to have concealed it, or to have taken credit to themselves for dissections which they have never performed. We have precisely the same thing to state with respect to the corpus olivare. Its structure is exactly similar to the corpus dentatum; and yet our authors have described and figured it, as filled with Brown Matter, and as the ganglion of certain diverging fibres of the brain proper. These infallible anatomists have also described the annular, protuberance as another large ganglion, containing much Brown Matter. This, too; is incorrect. It is composed chiefly, if not entirely, of White substance; of which, however, there are two, kinds; one sort appears White when divided vertically, but of a greyish hue, when cut in the horizontal direction; the other is White only in the horizontal section, and greyish when divided vertically. This difference is of course owing to a difference of internal arrangement; but, whatever be the cause, such is the fact; and it is easy to see from this description; what it is that has given rise to the idea, that the protuberances contains a large quantity of Brown Matter. It is only at a very few points that there is any appearance of this kind of Matter, and even in these it is exceedingly small. We have only to add, that the representation which DRS GALL and SPURZHEIM have given. of a vertical section of the protuberance in Plate XII. is exceedingly incorrect. The substance which is immediately continuous with the annular protuberance behind, has neither been accurately described nor represented by these gentlemen. It contains a small quantity of a very dark-coloured matter, of which they do not seem in the least aware. These very confident persons speak with exceeding pretension, of the representations they have given in their engravings, of different sections of the cerebellum, exhibiting the arbores. cent appearance of the Nervous Matter. We venture, however, to affirm, that there is not one of these figures which accords with nature. The representation of the section through the median plane, in Plates VI. and XI. are particularly inaccurate. The middle part of the arborescent appearance in these, and the branches which spring from it, are exhibited of a magnitude and form, which we are quite certain they never possessed in any human brain. tbalami, and through the middle of the corpus striatum. The same may be said of the whole of the parts which are situated directly between the two peduncles. Their description of the optic thalami is very incorrect and incomplete. There are coverings of White Matter in these bodies, and nodules of Brown, of which they take no notice. Arid how comes it, we would ask, that there is no representation in their whole engravings of a cross section of the optic thalami? Of the structure of corpora striata, there is neither a description nor a figure, in the least degree approaching to accuracy. No notice is taken of the numerous white filaments which are seen shooting into its substance, but without reaching its surface, from the white stratum already alluded to, as continuous with the peduncles; and which, so far from reinforcing the diverging fibres they have spoken of run in a quite contrary direction;—and no notice of that paler brown nucleus, of so peculiar an appearance, which is closely connected with the inferior surface of the same stratum, and which sends so many fine laminae and filaments of White Matter upwards and outwards into the lower hart of the corpus striatum. Here again we would ask, why DRS GALL and SPURZHEIM have not represented a transverse section of the corpora striata ;—why they have not favoured us 'with a figure of a transverse section of the whole brain proper, such as VICQ D'AZYR has attempted so unsuccessfully in his XXVIth plate? Not, surely,- because they feared that this section would exhibit appearances not easily reconcileable with their system of diverging and converging fibres? Lastly, we affirm, that they have neither represented nor,described accurately, the structure of the Hippocampi, the Colliculi, the anterior and posterior commissures of the brain, usually so called, the corpora bigemina, the corpora geniculata, the infundibulum, nor the mammillary eminences. commend to him, the perusal of Da Monro senior's essay upon the subject; and thereafter to dissect one recent brain. DR MONRO was mistaken, it is true, in supposing that his description of this passage between the ventricles was original; it hail been known to anatomists long previous to his time, under the name of The foramen commune interius; nevertheless the description itself is exceedingly accurate acid perspicuous. The very illiberal find unjust comments on some pathological observations by SIR EVERARD HOME with which SPURZHEIM has chosen to accompany his pert criticism of DR BAILLIE, render it abundantly plain, that there are at least two persons in the metropolis, who have not the credit of ranking among the disciples of the New Craniology;—the first physician, and one of the first surgeons, in Europe. But we find we are transgressing all tolerable limits, and must have done. The descriptions which these gentlemen have given of the Spinal Cord, and of the origins of the Nerves, abound as much in conjecture, and assumptions, and inaccuracies, as the part of their anatomy, of which we have just given a more detailed account. And as to their engravings, although we meant to have copied a long list of memoranda for their consideration, respecting the merits of each of them individually, yet we must content ourselves with stating, that there is not one view of the parts on the external or internal surface of the brain, which is in all respects correct; in several, the omissions are great; and in a considerable number the errors extravagant. In the four plates in which perpendicular sections of the cranium occur, the representation of the parts at the basis are grossly inaccurate. DR SPURZHEIM concludes his book in the following modest and comprehensive terms. We must needs indulge ourselves with a summary paragraph too. The writings of DR GALL and SPURZHEIM, have not added one fact to the stock of our knowledge, respecting either the structure or the functions of man; but consist of such a mixture of gross errors, extravagant absurdities, downright misstatements, and unmeaning quotations from Scripture, as can leave no doubt, we apprehend, in the minds of honest and intelligent men, as to the real ignorance, the real hypocrisy, and the real empiricism of the authors. I am grateful to Jim & Anne Secord for providing me with the original Edinburgh Reviews to make this Etext.